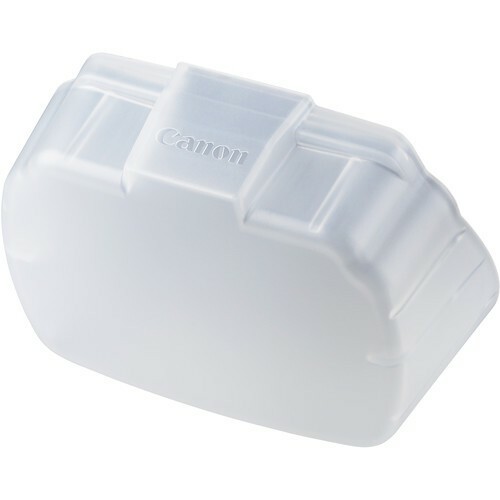 Includes one replacement Canon SBA-E3 Bounce Adapter designed exclusively for use with the 600EX II-RT SpeedLite. Simply snap the SBA-E3 Bounce Adapter onto your Canon 600EX II-RT SpeedLite for flattering images; gain softer shadows and more even highlights. Designed to soften the flash illumination and spread the flash more evenly, the translucent dome diffuses light for more natural images, perfect for portraits and product shots. 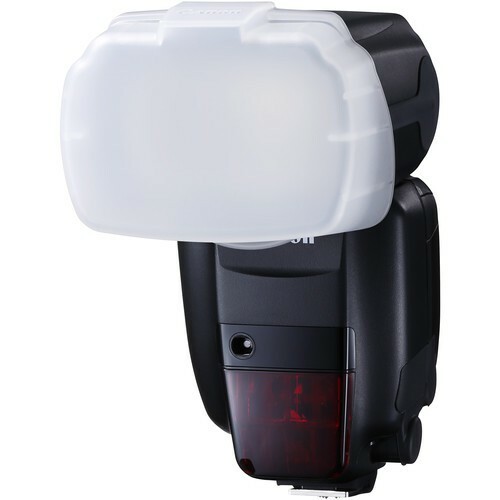 The SBA-E3 Bounce Adapter is compatible with the Speedlite 600EX II-RT. The Bounce Adapter can also be used in conjunction with colour filters.